We welcome you warmly to our best Small TVs review. You are here for a reason, with many questions that need answering. We are here to help answer those questions. 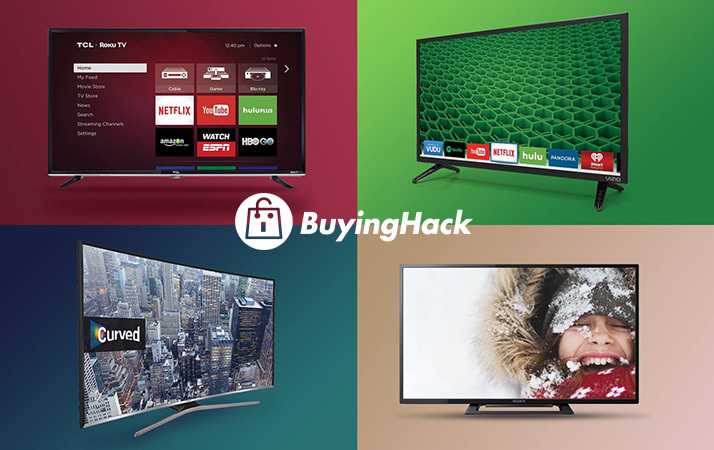 You are looking for a TV, but the main concern is what to buy? In many situations, the small TVs normally meant for a guestroom or secondary room. Here you can look at a 32-inch and will see that there are quite a few out there with affordable prices as well. We know that you want the best and as we progress further, you will see many with different features, manufacturers, panel technologies, operating systems and more. Why buy a Small TV? 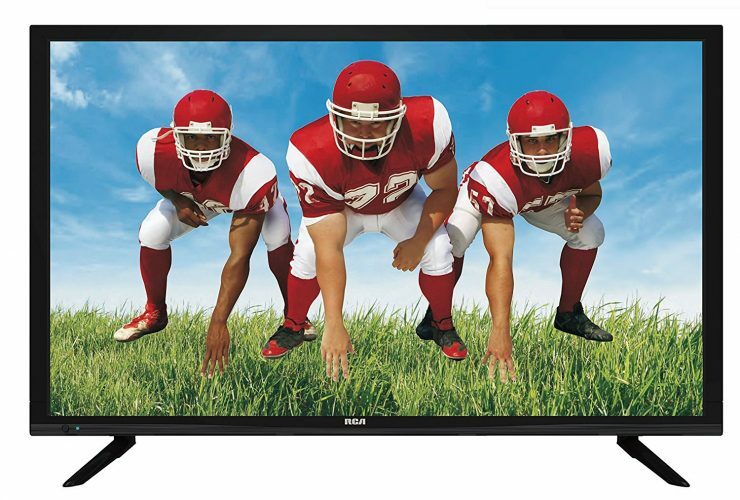 The RCA LED24C45RQ is a basic LCD TV with a small screen of 24-inches with LED edge lighting. The display resolutions 1080p and present you with a good contrast and response time. It has one HDMI input for sharing video input and a USB port for playing back videos and music from portable devices. It is energy efficient and has a response rate of 60Hz. This basic LCD TV may not have superb sound but has loads of audio hookups. It does have an LED backlight and the picture quality is great for the price you pay. This TV may not have Smart TV apps and works a treat with the Chromecast. Overall, even if you cannot scan for cable or over-the-air digital it sets up easily and does not erase the channels selected. 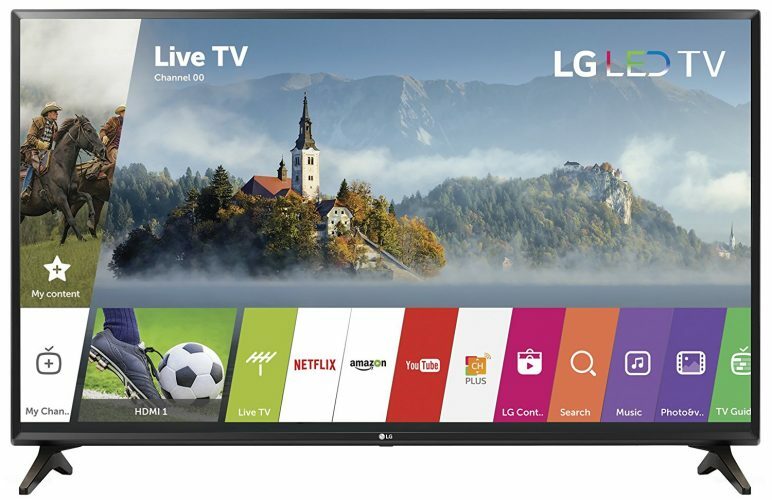 The 28LJ4540 is a 28-inch HD 720p 2017 LED TV model. For a smaller space, this television offers you the best picture quality and has a compact design. For the kids, the TV set is perfect for playing video games or great to use in the bedroom. The image refreshes 60 times per second. For an excellent image process and natural colors, LG has implemented a Triple XD Engine to give you natural colors with deeper contrast. With a single cable, you get the benefit of enjoying High Definition Multimedia Interface to connect to your modern devices. The LED backlighting helps improve the image brightness with clarity. The native resolution is 1366 x 768 allowing you to view 720p HD content with ease. The blacks are deeper in color while the LEDs are more energy efficient. The great thing is with the HDMI you can connect this monitor to your gaming console, laptop, computer, and Blu-ray player. The LG small TV offers you astounding image quality with clear and sharp pictures. The majority of consumers found the black deeper and observed a more natural color while watching movies. The surface has a non-glare treatment making it great to use in bright-lit rooms. Some users had minor complaints about sound not being perfect. The televisions easy to use but do not have provision for using auxiliary speakers. So it is not an entertainment set but works well in the kitchen, bedroom, or as a gaming set. Another note mentioned by most users is the fact that it only has one HDMI port and may need to buy an added HDMI adapter with added ports. 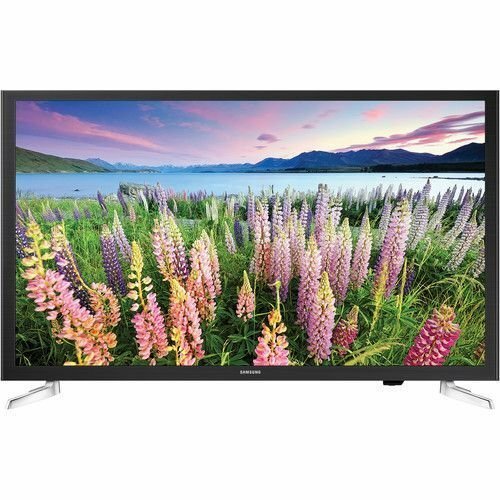 If you just love a Samsung, they have an affordable priced TV the Samsung UN32J5205. It has a 32-inch 1080p LED display panel. It has Wi-Fi connectivity, allowing you to stream music and videos from some of the popular services. These include Spotify, Netflix, and Amazon and compared to its other siblings mentioned previously it has a lower refresh rate of 60CMR. It delivers a premium audio sound with the built-in 5.1 high-definition surround sound with Motion Rate 60. With the Eco sensor, it adapts the screen brightness for energy efficiency. It has a super sound that is excellent and great to listen to music with the balanced tones in all corners of your room. Have 2 HDMI and 1 USB input. Clients find the TV design great and lightweight. The LCD screen fits into small spaces easily and has a sharp picture with loud audio sound. Setting it up to Wi-Fi is simple and the interface superb. This is practically a perfect smart sophisticated home entertainment TV. In addition, if you are not tech-savvy there is always help available as Samsung presents you with 30-day technical support from the day you buy it. The latest member of the D-series from VIZIO is the VIZIO D32x-D1 that is very affordable with great features for a 32-inch LED screen. It has full Wi-Fi connectivity and supports internet apps from the manufacturer. It has popular streaming services such as Amazon Prime, Hulu Plus, and Netflix amongst others and has a modern design with great picture quality. The TV has full array LED that distributes LEDs behind the screen for superior light and picture performance. Furthermore, the screen is in high-definition with 1080p Full HD. The apps provided automatically update and stay connected with the current news. Internet service broadband is high-speed. However, access equipment not provided. For connecting entertainment devices, you have 2 HDMI ports and you receive a 60-day technical support free. When reading through some of the best small TV reviews on Amazon related to the VIZIO you might find some negative reviews, however, there are some great ones as well. It has superb picture quality; the selection of inputs is great, designed with a lot of tweak settings, and great audio sound. 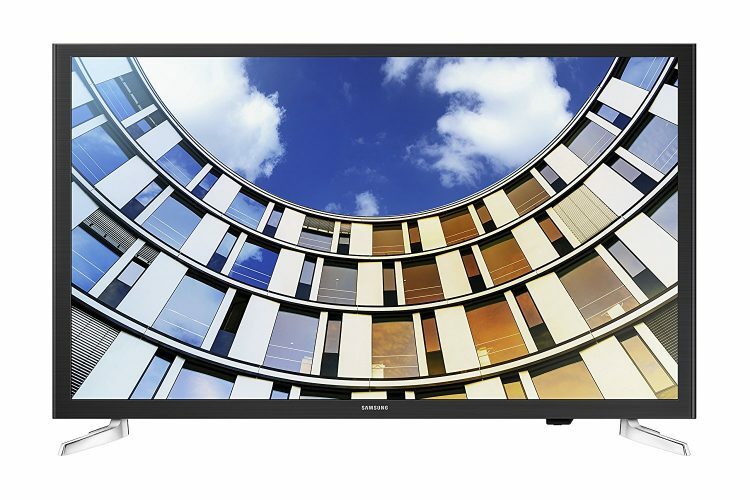 The Samsung UN32J4000C is a superb TV with an excellent 32-inch screen and 1080p LED display panel. The refresh rate is zippy and the best on the list with 120 Hz. The designs sleek with modern connectivity characteristics, a fast quad-core processor, and all the essential apps and services. It is an easy buy on your budget. It boasts a Micro Dimming Pro and gives you a realistic picture and superb sound. The versatile connectivity with streaming options is great when viewed and playing media from any type of device. While the LED lighting presents you with luminous picture quality and aids in balancing out all the downsides of the screen. The colors rich and has great contrast. Another blessing is the Auto Motion Plus feature and set on by default. However, do not turn it off while streaming content and does not display 3D content. You received included a standard remote with quite a few functions like a play/pause button, different menus, contextual keys, and the smart hub button. The TVs Energy Star compliant with ATSC and QAM digital tuners built in for superb sound. With the DLNA certification, it allows you to connect remotely to music, photos, and videos from a phone or any other mobile devices. While the CMR reduces, blur while watching movies or sports. Have HDMI ports and USB ports and has excellent customer support. Customers are very pleased with the Samsung UN32J4000C for its sound quality, clear image, durable slim casing and ease of assembling. They even love the affordable price. The TV has enhanced picture features not found on many other 32-inch screens like the micro dimming pro. It is a high-end Smart TV but still falls in the middle range. The series is also available in 5 other screen size options with different prices. All the sets present you with the same features however, the picture quality may vary. The sounds great with decent bass and the audio is loud without any distortion. If you do happen to have, a limited budget, then our best small TVs the Seiki SE19HL. Their range is available in different screen sizes and they have the smallest one available a 19-inch LED display panel. It features 720p resolution. They have designed it with your basic connectivity options such as a USB and HDMI ports. The design is slim and in a black piano finish. With the HDMI technology, the image is clear and you can connect it to any cable box. It presents you with advanced LED-backlit technology for sharper contrast and colors. It even has parental control. On the other hand, you receive a one-year limited warranty. It is a decent TV for the price and makes a great monitor for your computer as well. The only concern that clients had is the sound quality that is not that great, but the picture quality does make up for it. Furthermore, the TV has loads of features and adjusts easily to different resolutions for the several formats available. The UN32M5300A Smart LED TV is another 2017 model available at an affordable price from Samsung. This small TV has a native resolution of 1920 x 1090p. The great thing about this TV set is that it is a small and available in bigger screen sizes as well. The M5300 will bring you the best image quality when watching movies, media content, to TV shows in vibrant colors. You can access your Smart TV features and it has built-in Wi-Fi to connect to your home devices wirelessly. You can stream content directly from the web to the set and includes an Ethernet jack. This allows you to connect it directly to your home network. The nice thing about the monitor is it is DLNA certified allowing you to view digital content from external devices. Compared to a standard HD television this model offers you twice the clarity with Full HD 1080p. You can even watch older non-HD content on the screen. Connect your USB device and share your favorite content with the ConnectShare Movie while enjoying DTS Premium 5.1 sound. This set you can even use as a conference room TV with limited space. Another added benefit is the two High Definition Multimedia Interface ports. The component-video input doubles up as a composite-video input. Compared to some other brands available this one has a glossy finish and covered with a 12-month warranty. The Samsung M5300 small TV has a great price and offers you vibrant colors with a clear display. The only annoying thing most users found is the pop-up menu that pops up when activating an HDMI device. The TCL 28S305 28-Inch 720p Roku Smart LED TV is available with different sized screens and has a pleasant design in the 28-inch range. It has a 720p LED display panel with full-blown Roku streaming player. This allows the television to stream content from many different popular services such as HBO, Hulu, YouTube, ESPN, and Amazon over the Wi-Fi network. You can play your media files via the provided USB ports or purchase a hot selection of movies directly via the device. These compensate for the lower resolution and a great affordable option in small TV ranges. It has a four-way navigation pad while the power/selects buttons situated on the back of the TV. It has 3 by HDMI ports, an antenna connector, a headphone jack, and a power connector. You receive the detachable cord and included batteries with the remote. The people who have bought the TV advises that the designs simple and easy to assemble. The Roku makes it simple to navigate through the system and makes setting up the device easier. The pictures clear with great audio sound. Overall, it is a great energy consumption provider. 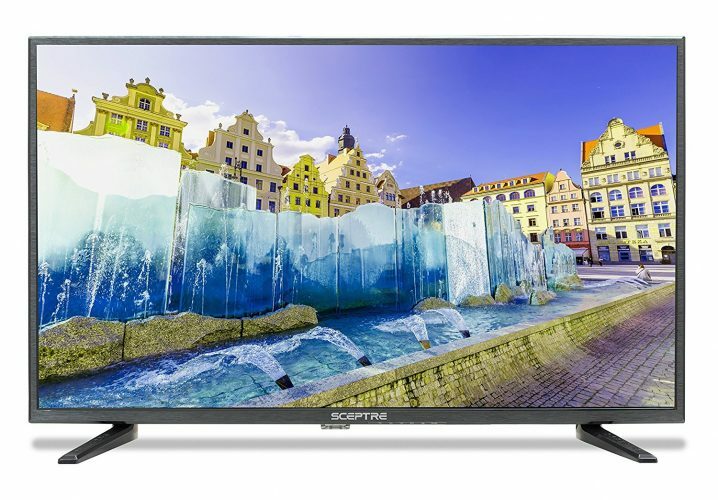 Many of you might not know the Sceptre brand, but the X328BV-SR is a small TV that comes highly recommended. If you want to upgrade your old TV set this is definitely one you should buy. This monitor might not have all the smart functionalities found in other popular brands. There is no Smart Hub or even a WebOS, but customers remain satisfied with the product. This television is perfect if you do not want to stream content directly to the set. If you prefer watching shows from your cable, connection the functionality is astonishing. The box has a smart look with an ergonomic design. You can mount it to the wall in your garage, kitchen as well as spare bedroom. With the simple design, you can use it standing on its base, as everything is included with your purchase. This 2017 model has Motion Estimation and Motion Compensation. Also, this allows images to flow smoothly from frame to frame. Now you can enjoy action-packed sports, video games, movies and more. The 32-inch TV is Energy Star V7.0 rates to save you loads on your electricity bill and has a mobile high-definition link. You can stream content directly from your smartphone and other compatible devices. Another benefit of this feature is that you can view documents directly on the screen. So if you need a conference room TV this is the one to buy. You get a sharper contrast with light and dark colors on the LED display. You can connect to your latest High Definition Multimedia Interface device with superior digital quality by using one cable and you can use the small TV as a computer or laptop monitor with the VGA inputs. Furthermore, the television set supports USB connected devices. If you need one of the best small TVs for your home or conference room, the Spectre 32-inch is perfect. The televisions set easy to set up and include everything you need to mount it to the wall or on a stand. The picture and sound quality are superb. As with any product this TV lacks an in radio function. Some consumers found the set takes long to start but the graphics are stunning. Video game players will love this TV as the graphics way better than in other brands. 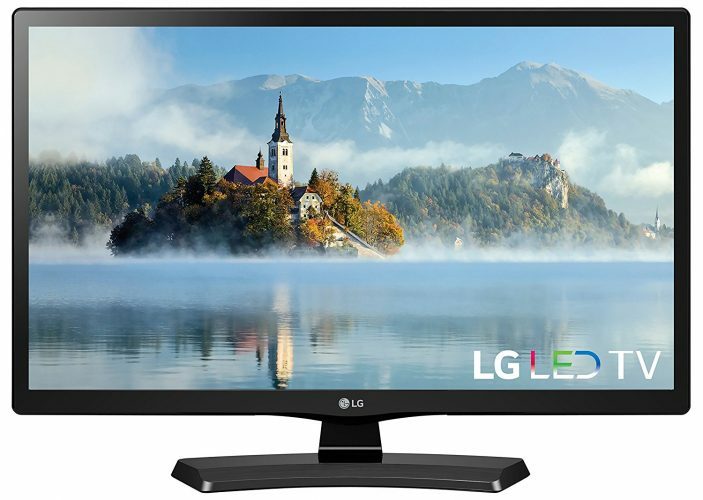 Another great small TV suitable to use in the home with limited space is the 32LJ550B from LG Electronics. This monitor has a native resolution of 1366 x 768p and is internet-enabled. Now you do not need to use your computer to access online content. You can stream movies directly on the TV. With the included Ethernet port, you can connect the set to your home network. Another benefit is the Wi-Fi capability to connect your network wirelessly. To add to the great features it is DLNA rated. This allows you to view digital content directly from your phone, computer, or smart devices. Furthermore, it has High Definition Multimedia Interface inputs and a component-video input. This doubles up as a composite-video input. You can connect your USB devices via the USB port and use it with a flash drive. You get a virtual surround sound and you can enjoy watching your favorite YouTube, Amazon Video, Netflix and more. Furthermore, you receive free content with Channel Plus and you can share content with compatible devices. The Color Master Engine gives you enhanced colors with exceptional brightness. You can connect to the internet with the webOS 3.5 Smart TV and view content online. Furthermore, you have access to a world of apps, with the LG TV Plus app on your mobile device you can link it to your television to enjoy watching content wirelessly. The picture and sound quality of the 32LJ550B are amazing and easy to set up. The remote control is easy to use and perfect for watching DVDs and Blu-ray. However, there have been complaints about the streaming that is not perfect. No matter what type of TV you are looking for from a basic to high-performance one the biggest factor remains the screen size. Here you need to consider how big your family is and where you are going to place it. In big areas, you need a screen size between 55 – 65 inches. However, for smaller spaces, you may need to rethink the situation. Screen size also depends on how close you will be sitting at the screen when viewing. If you notice the pixels on the screen, you are too close and as a rule, you need to set a distance away. If you plan to have a TV in any of the bedrooms, a 32 inch is suitable and limited to your budget if you plan to go bigger. For the kitchen, something smaller as a 28-inch is more suitable as you will only be using it while cooking and fits comfortably into most spaces. Even if you buy a 17-26-inch TV, you can still view the screen between 4 to 5 feet and a great choice if you do not want it to dominate your living space. The majority of 32-inch display TVs or less does not have 4K resolution and you will need to pick a regular HD with 720p or a Full HD 1080p that is normally better. We hope that our selection of best small TV’s here helps you to find one suitable for your home or office. The majority of them you can use for watching programs listen to music, play movies from portable devices and use as a computer monitor. Some have smart functions while others do not, but these are some of the best small televisions to use in your bedroom, small apartments, or the kitchen. They are affordable so check them out. The fact is you do not have to give up value just because you want to buy a small TV set. Some of the sets here even make great conference room TVs, especially if you have limited space. Whether you need a basic or a high-performance monitor, we hope the above small TVs in 2019 can help you find a suitable one. The fact is you might have to give up on the 4K high definition resolution and range, but each of these TV sets received excellent ratings from happy customers who have bought them.